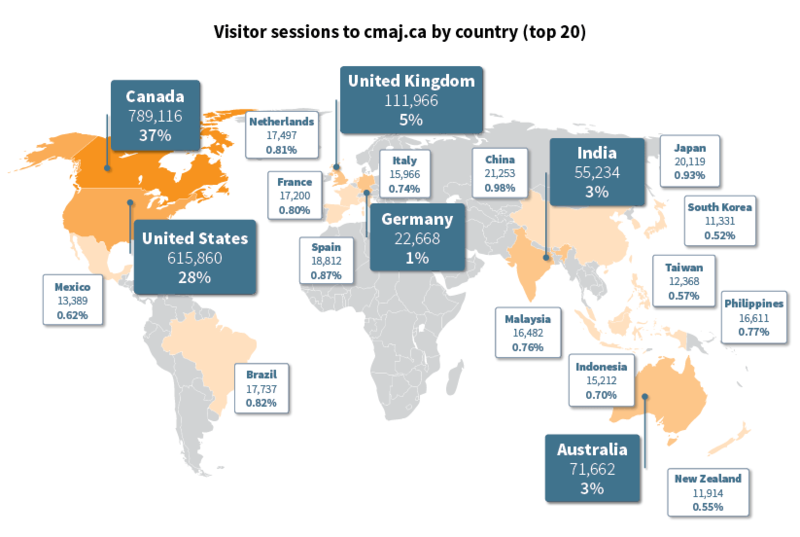 If you think the majority of web traffic on cmaj.ca comes from Canada, think again. In the past year, our website got a total of 2,162,025 visitor sessions (or hits) from all over the world, but only 37% of the traffic came from Canada. In other words, 63% or almost 2/3 of the traffic was from outside this country. Our American friends generated 28% of total visits, with New York, Los Angeles and Chicago being the top US cities to visit our website. We can see, in the graphic below, that the UK, Australia and India round off our top five. We also get a fly-by of the top 20 countries, by visitor session. Of note, the above marijuana article dates back to 2002, but because someone recently posted it on the user-generated news and entertainment website Reddit, our website received double the traffic that day, mostly from the US. Thank you, social media. Another article that consistently receives a lot of traffic is a review on the health benefits of physical activity. It is by far the most viewed article on our website in recent years. Analytics provide fascinating insight into website traffic patterns, which then allows us to realign and readjust to our readership. So...hello world. Posted in Editors' Blog. 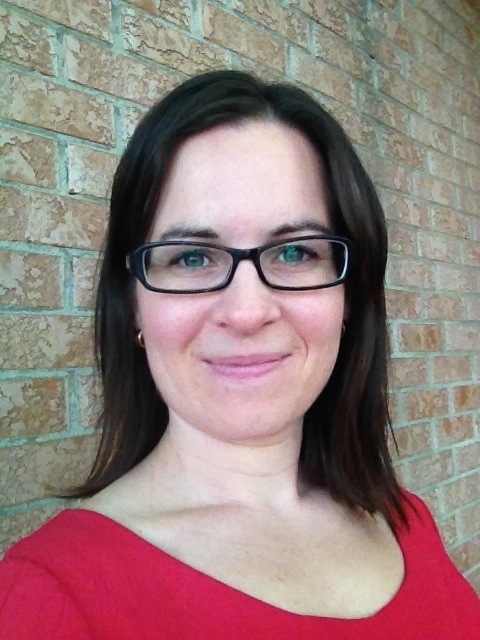 Tags: analytics, cmaj.ca, Émilie Lacharité, website on July 3, 2014 by CMAJ.